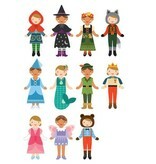 Builds over 200 outfits - you are the designer! 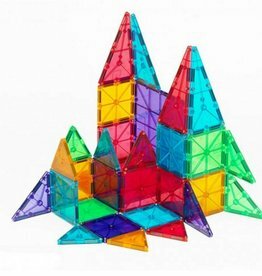 Promotes hand-eye coordination and imaginative play. 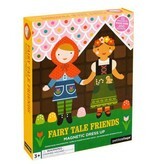 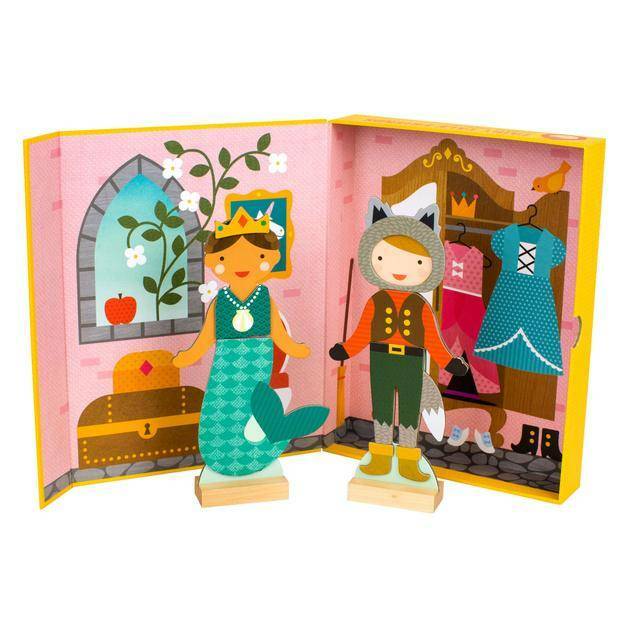 Set includes 52 magnetic pieces, two wooden figures with stands, and a fanciful room scene. 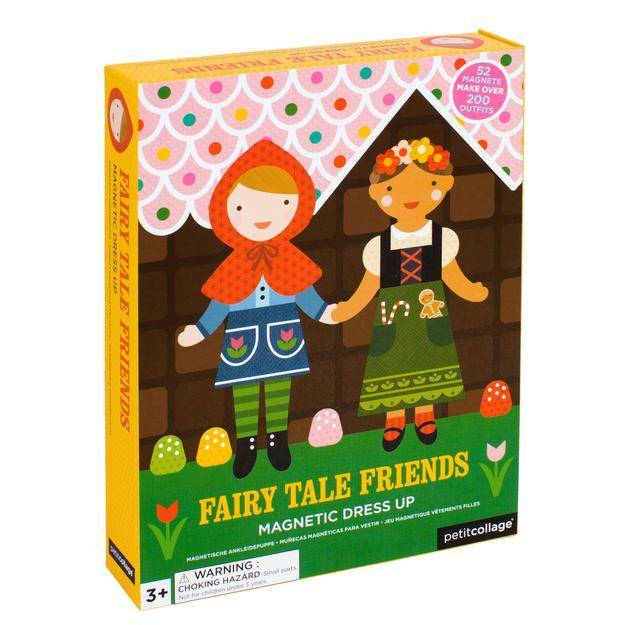 Packaged in a sturdy box with magnetic closure - perfect for traveling! 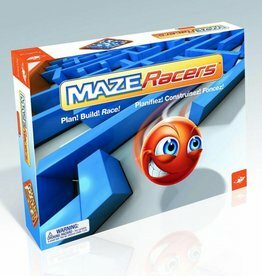 Build a maze for your opponent, then race! 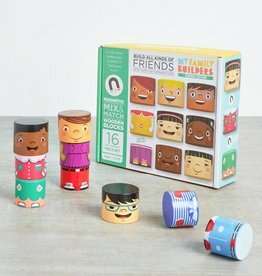 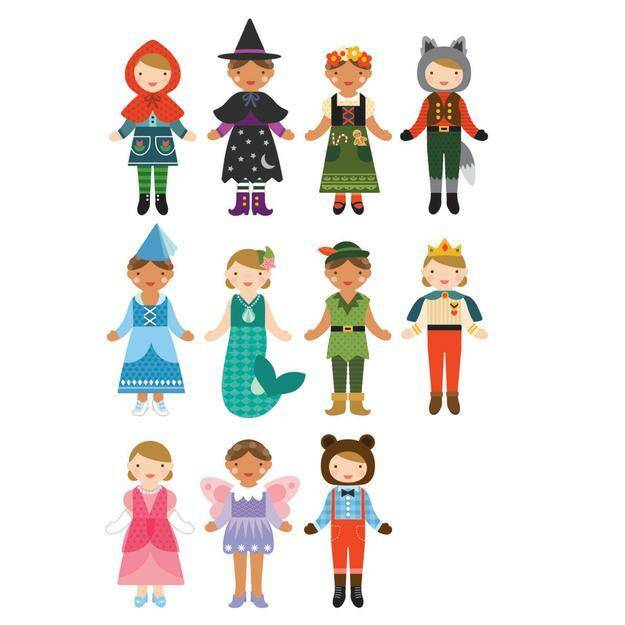 Create one-of-a-kind friends with these magnetic blocks! 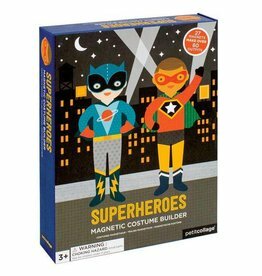 Design your own superheroes and save the day with this magnetic set!